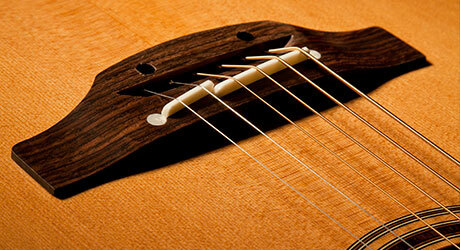 The neck profile of a Takamine® guitar is offset—like an asymmetrical letter “C”—slightly thinner on the bass side, so that it fits the natural shape of your hand. This improves playability by reducing the distance the wrist must move when the thumb is moved toward the first string, resulting in a comfortable feel and an exceptional playing experience. Quick and easy string changes. 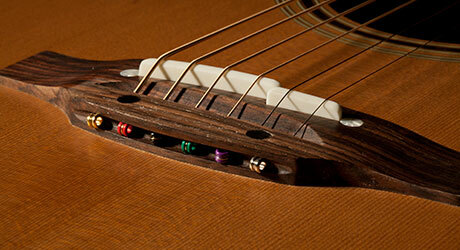 No more fumbling with time-consuming individual bridge pins. Many Takamine® Pro Series guitars feature remarkably convenient “pinless” bridges, which do away with the small parts entirely and make string changes a breeze. 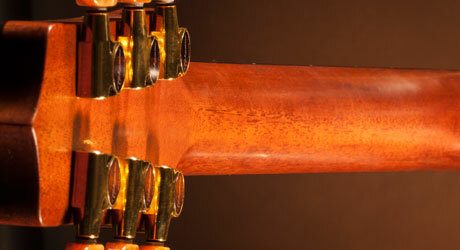 The bridge to great intonation. Takamine’s distinctive split-saddle bridge provides accurate acoustic intonation through a specially compensated design that is quite literally split, giving the two unwound strings—the B and the high E—their own well-deserved “break” and enhancing overall intonation.